As it has been such a lovely day we popped over to Wells today; as the Bishop’s Palace was open we went to have a look at that. This was a good choice as it stands in a walled defensive compound, presumably to protect the ‘wells’ and has gardens that were colourful and tranquil on a late October day. 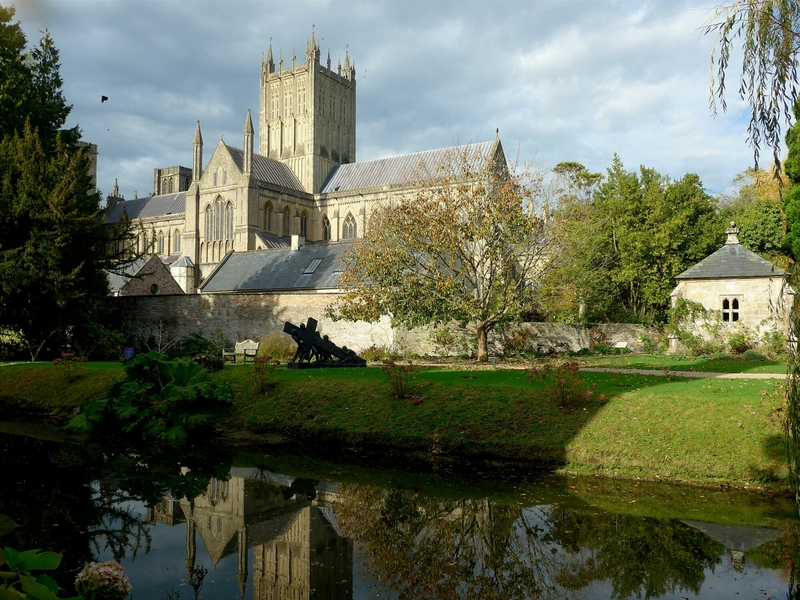 It also offered an unusual view of Wells Cathedral seen across the moat. No sign of Blackadder’s “Baby Eating Bishop of Bath and Wells” though, I’m pleased to say. Beautiful shot and love the reflections! Thank you, it was a lovely visit.